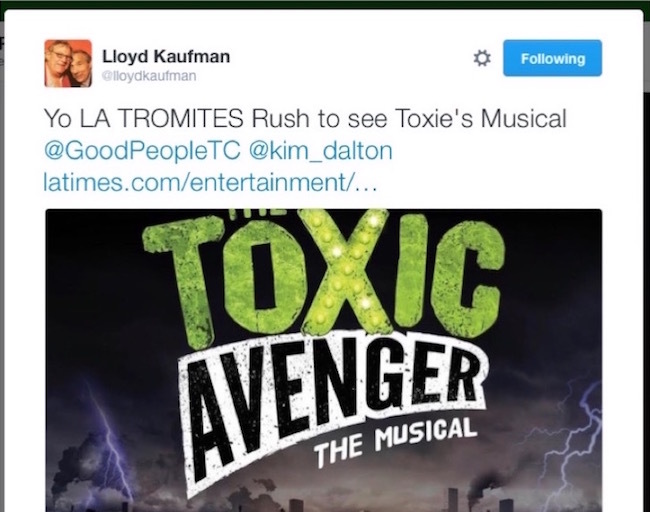 First, if you care about TOXIC AVENGER in general, then you should follow Uncle Lloyd and his Troma Team. 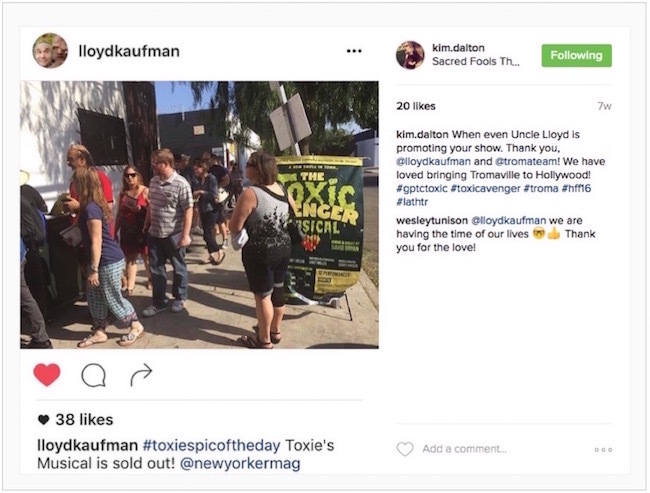 And we won’t overload you with the Instagrams and Tweets that went around during TOXIC. 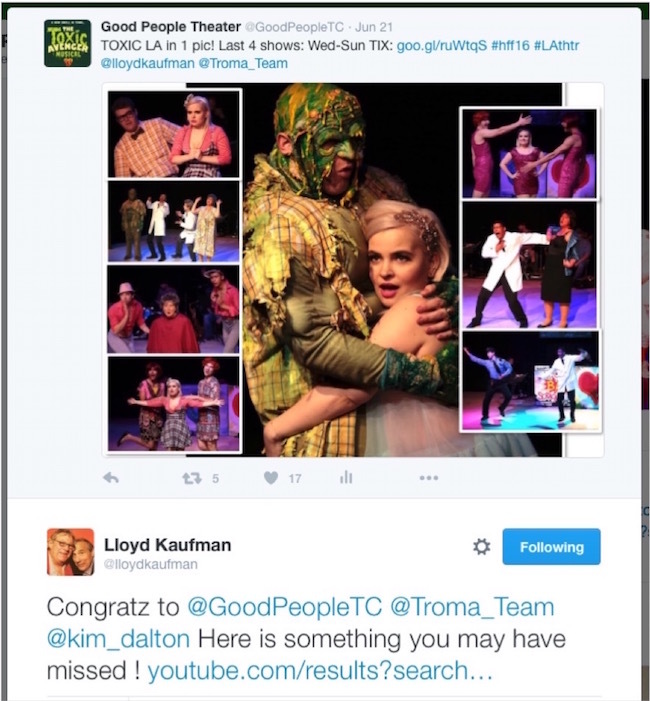 But here’s a recap of the love affair that blossomed between our cast and TOXIC’s creator, Lloyd Kaufman! 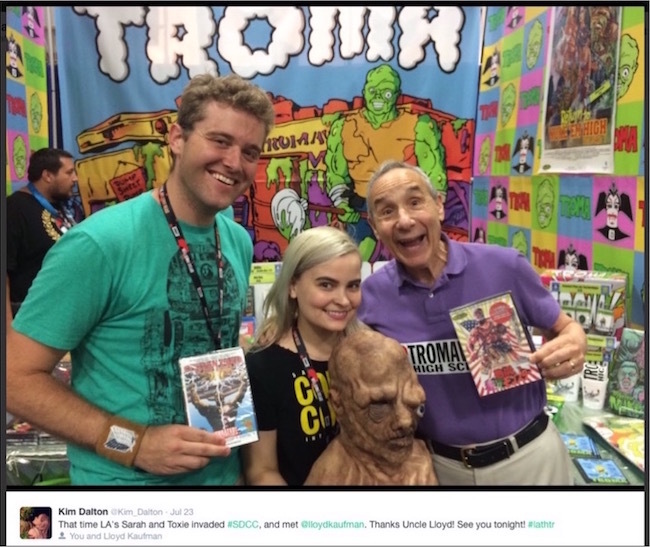 And our Toxie (Jared Reed) and Sara (Kim Dalton) hung out with him at Comicon! 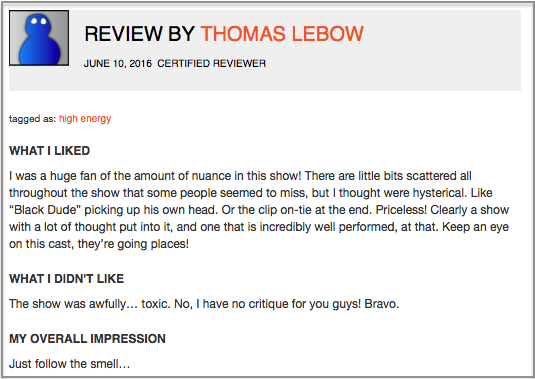 With 50+ unedited audience reviews on file you’ll see: HFF16 kinda loved Toxie.